The Death Valley Fall Double Century is an epic ride through one of the world's greatest outdoor sports arenas. The fall event covers the northern parts of Death Valley National Park, while the spring event covers the southern areas. In addition to the 200-mile route, 150 and 100 miles are available. 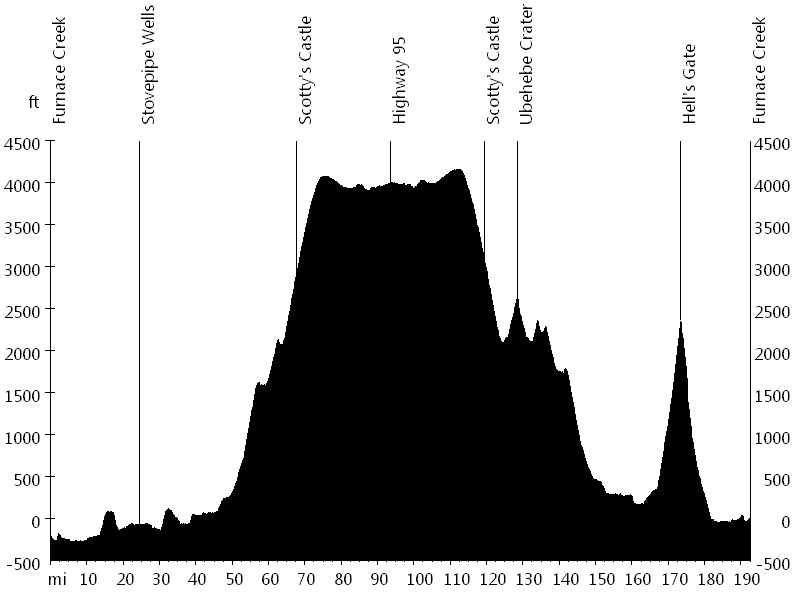 The ride starts at the Furnace Creek Ranch, located below sea level. On the way north to Stovepipe Wells, it passes the Devil's Cornfield and Mesquite Flat Sand Dunes. After returning for a few miles, it continues to lead north, gradually ascending towards Grapevine Ranger Station. Then the route starts climbing up Grapevine Canyon, passing Scotty's Castle. At the top, the road crosses the Nevada state line and enters Bonnie Claire Flat. The turnaround point is Scotty's Junction at Highway 95. 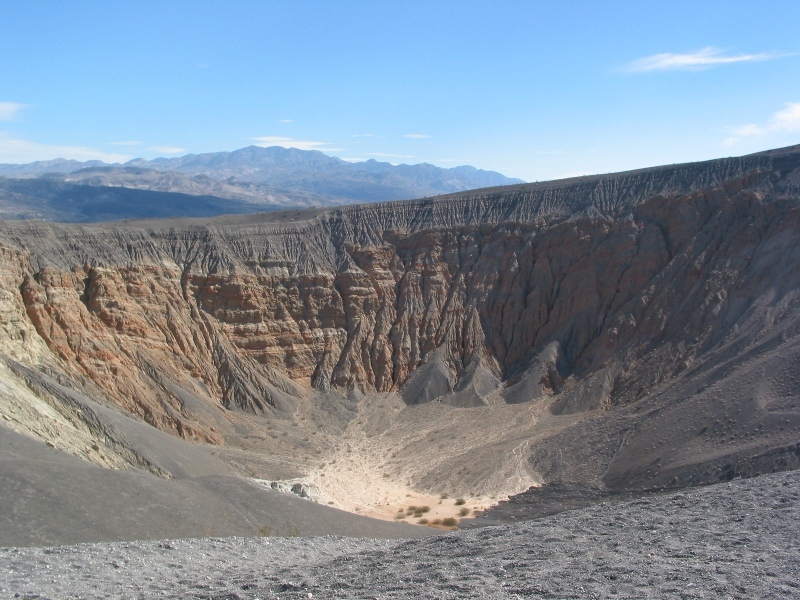 On the way back, the route visits Ubehebe Crater, before gradually descending to the Beatty turnoff. The last climb leads up Daylight Pass Road to Hell's Gate. From Hell's Gate the route descends via the Beatty cutoff and returns to Furnace Creek. This was my first visit to Death Valley, what a fascinating location. While the temperature is extremely hot in summer (up to a world record 134 degrees), spring and fall are pleasant. Humidity is exceptionally low.